But we DO need to talk about the Omega 6’s and 3’s. Omega 6 AND 3 are fatty acids that we need for a healthy body. Our body does not make them. We get them through our foods. Once consumed, they are converted into the building blocks for hormones that control immune function, blood clotting, and cell growth as well as components of cell membranes. In my book, important stuff. THE IMPORTANT THING IS that it needs to be in balance in our bodies to work properly. THE TYPICAL AMERICAN IS NOT BALANCED. 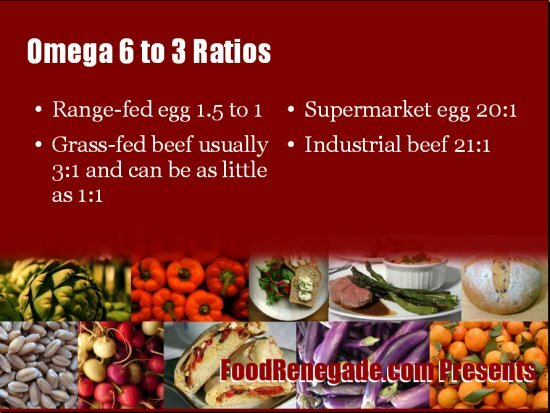 The ideal ratio is 2:1 (omega 6: omega 3). The typical American has a ratio of 20:1. Not good. The imbalance causes an inflammatory environment causing chronic conditions such as asthma, allergies, diabetes and arthritis. As well as heart problems and depression. That is not good. ****What may seem really bizarre is that many people who eat very healthily can be susceptible to these chronic diseases because they are out of balance. What we have to remember is that Omega 6 is necessary and good ONLY if it is balanced with the omega 3. So what foods have omega 6 and what foods have omega 3, you ask? Vegetable oils: grape seed, cottonseed, safflower, corn and sunflower oils. Processed foods. Most made with very cheap oils. As you can see many of these items are good for us. And that is not the issue. The issue is keeping all in balance. Beans (not all beans are rich in omega-3. Some are more than others. Olive, macadamia, avocado and coconut oils. Grass fed meat and chickens. So while it is not necessary to refrain from the omega-6 rich foods, it is vital that you add more of the omega -3 rich foods with it. Eat walnuts instead of almonds, every other time. Don’t forget to soak and dry first both almonds and walnuts! Almonds are very high in 6 while walnuts are high is 3. 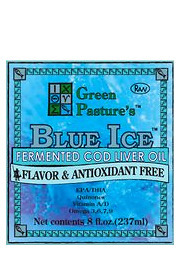 Take cod liver oil or fish oil. Fermented is the best kind and can be purchased online. I buy a year supply at a time. Switch oils. Remember oils come in many different forms. Lots and lots of processed food uses oils. Including anything that tries to look or act like butter. Eat less grains and eat more beans. Chronic diseases are ruling our culture and our health care. Take great care of yourself!